The Aries 245 NC model blends high-speed performance with long-term durability. It is the ideal punch press for light to medium gauge sheet metal fabrication. 3 Auto Index Stations – provide maximum flexibility by simplifying tooling inventories and reducing tool set-up time. Tools can be rotated in increments of 0.01 degrees enabling the processing of complex shaped parts with the minimum number of tools. Variable dwell time at bottom of stroke provides high quality, press brake like forming, often elimination secondary processing. Electronic adjustment simplifies set-up of progressive forms, flanges, and embossments. 3 Auto Index Stations provide maximum flexibility by simplifying tooling inventories and reducing tool set-up time. Tools can be rotated in increments of 0.01 degrees enabling the processing of complex shaped parts with the minimum number of tools. The Vipros 255 model blends high-speed performance with long-term durability. It is the ideal punch press for light to medium gauge sheet metal fabrication. With the canned cycles and programmable hydraulic ram system, the turret punch press can achieve nibbling speeds approaching 1,000 hits per minute while maintaining precise control of ram position through the stroke cycle. The Amada Shear M2045 has the capacity of shearing 10’ long and ¼” thick Cold Rolled Steel. It has adjustable blades to properly set the necessary gap for all gauges below ¼”. Fully equipped with Swing Support Arms for large blanks and a Digitally Controlled Back Stop Gauge. The Pro Fab boasts outstanding performance and versatility due to its ability to adjust from 200 to 12,000 lbs. of force. 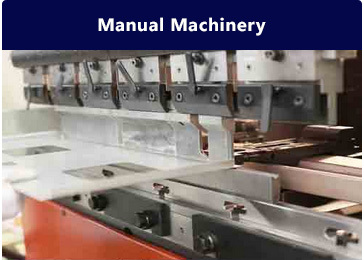 Consequently, it provides the user with the capability to insert fasteners in either flat or pre formed work pieces. The Pro Fab can handle any kind of fastener up to a maximum 3/8″ thread size for nuts and stud sizes #2 to ¼” diameter in metallic or non-metallic materials. Among these are rivets, studs, fixed and floating nuts, panel fasteners, self-locking nuts, stand-offs, spacers, eyelets, and more with standard tooling. The 618 Haeger Press has the ability to install virtually any self clinching fastener into virtually any material efficiently and reliably. The 618 Haeger uses advanced hydraulics to deliver precise, even pressure at any point in the ram stroke, which ensures the proper seating of practically any fastener type and size. The press uses 6 tons of force, with the ability to adjust down to just 400 lbs. It can install up to 5/16″(M8) hardware. Our 618 Haeger is also equipped with a modular auto feed system. Vital for keeping your IT and electrical systems stable and secure, your communication cabinets and racks can be custom designed to meet your needs and to fit nearly any space in your business premises. Enclosures for data centers while ensuring they are compliant with any cooling and cable management requirements. Yes we manufacture Heatsinks to enhance heat dissipation from hot circuit board surfaces. Abbecan Industries produces Heatsinks in solid or extruded Aluminum as well as multiple types and alloys of sheet metal. With fins or ridges that can increase surface area to effectively dissipate heat into the surrounding air, ultimately protecting your machinery and IT systems.